A Flora (Grubb) garden grows in Bayview. Volume created a whole new visual and verbal story for the popular exotic plant nursery formerly known by two names—Guerrero Street Gardens and The Palm Broker. By shifting the emphasis to the nursery’s lively, personable and intelligent owner, Flora Grubb (yes, that’s her real name), rather than a place or a specific product, the business can now promote a lifestyle and personality that can be applied to products, events, education, not just plants (and not just in one location). Flora Grubb Gardens has been an unequivocal success, thriving in its new location and helping make the city more beautiful, succulent by succulent. The logo fuses clean, unfussy typography with the exotic and tactile approachability of the agave image, embodying Flora's garden-planning philosophy. 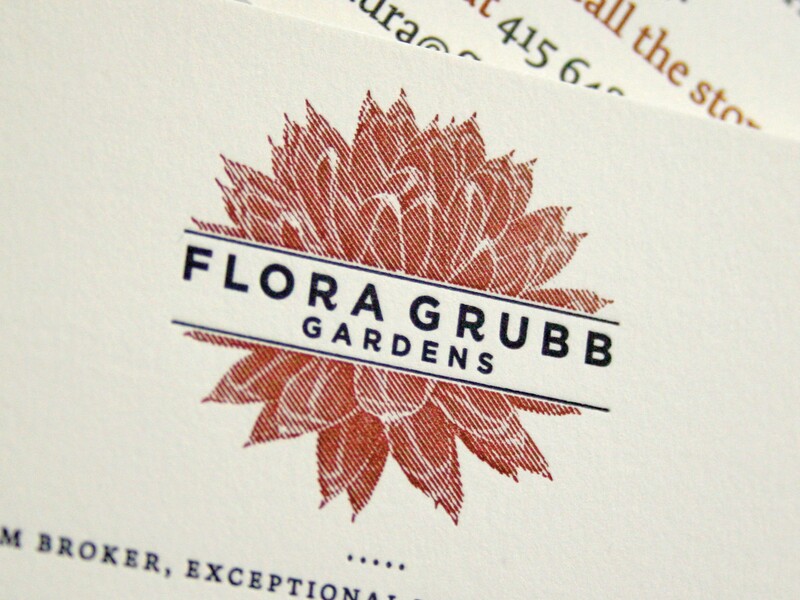 The business cards, promotional postcards and notepads further fill out Flora and her nursery's story, by utilizing a friendly, conversational messaging and sharing Flora's wide knowledge of gardening and exotic plants.